I used multiple recycled items. 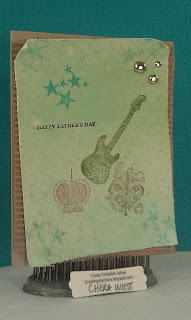 I needed a ROCK STAR card and I am happy with the end result! I made my own paper - spritzed water and ink drops on the white paper, with Cool Carribean (yeah I still have the in my stash) and Wild Wasabi. 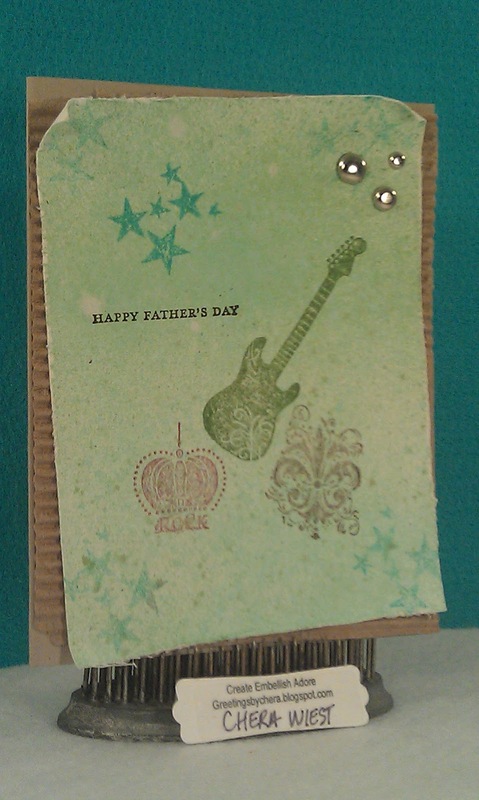 I stamped the Guitar in Wild Wasabi, the Crown in Cherry Chobbler, the stars in Cool Carribean as well. 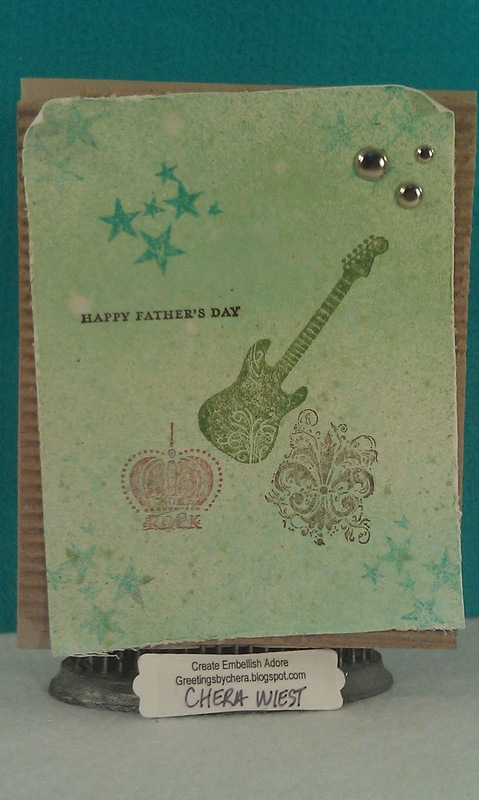 Using the brads in three sizes in the silver gave it more of masculine card. As did the recycled cardboard behind the front panel. I love the way it all comes together. Especially since its been a while in my craft room !!! I promise to be back again. I love cool carribean, I bought up lots of that before it originally retired. 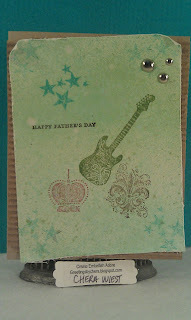 Great card, love the paper you created!